So here it is! My new cookbook that continues the celebration of the Mediterranean Lifestyle. 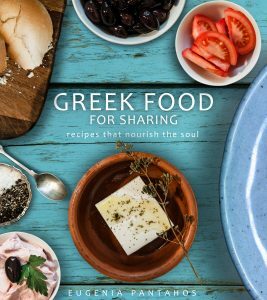 Greek Food For Sharing is a delectable curation of authentic Greek recipes brought to life by evocative images that capture the beauty, flavour and sophistication of the Mediterranean and the unique flavours of Greece. Greek Food For Sharing continues the celebration and benefits of the Mediterranean Lifestyle. There is something for everyone including pescetarians, vegetarians, vegans, and of course those who enjoy the classic and delightful flavours of traditional Greek cuisine. The eBook is available here.